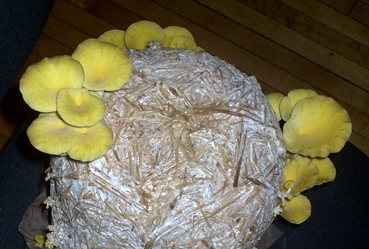 The easiest mushroom to cultivate. Good for beginners. 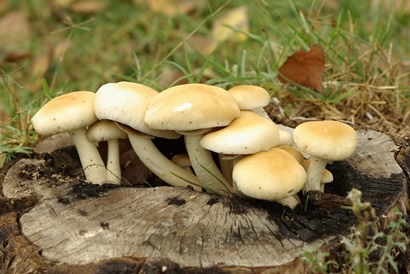 Grow outdoors on logs or indoors on sawdust blocks. Delicious and also medicinal. 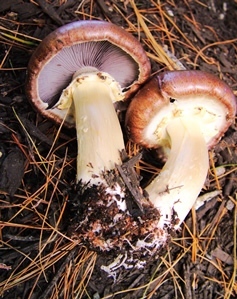 Easy to grow on woodchips outdoors. 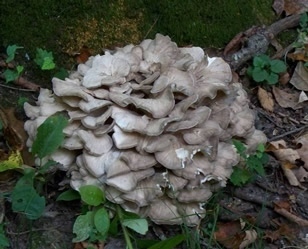 Also known as Hen-of-the-woods. Outdoors on logs or indoors on sawdust. Delicious and also medicinal. 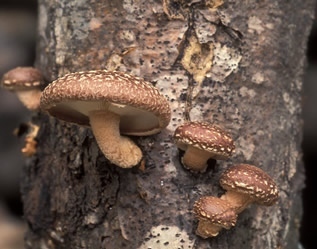 Outdoors on logs or indoors on sawdust. Delicious and also medicinal. 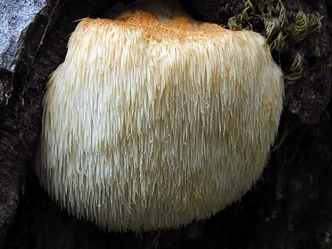 Lion’s Mane cultivated on sawdust. © Photo by Ron Spinosa. 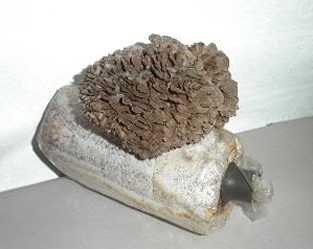 Highly esteemed medicinal mushroom. 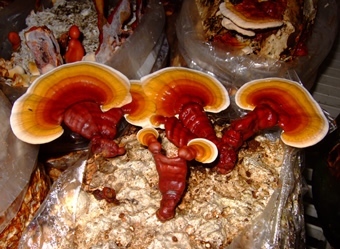 Used in Traditional Chinese Medicine for over a thousand years. 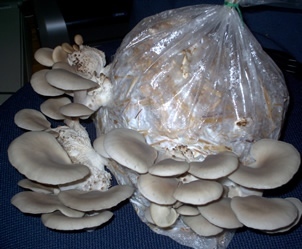 Can be grown on sawdust or on logs. Kits are available. Cultivation supplies and kits. 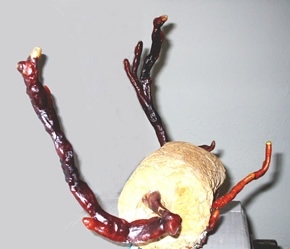 Reishi kit antler form - Field and Forest Products kit. 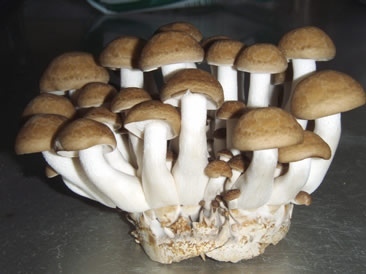 A very popular cultivated mushroom in Japan. 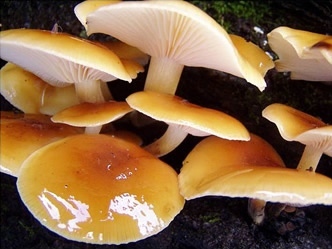 Marketed in US as "butterscotch mushroom." 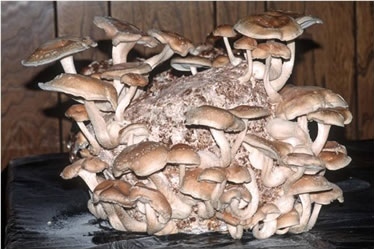 Grow on sawdust blocks or logs. Fruits under cool conditions. In Asia gown in jars under low light and high CO2 to produce long thin stems and minute caps. Very different appearance in nature. 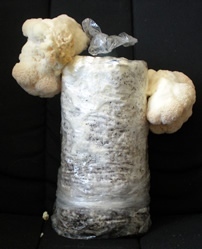 Grow on sawdust, paper and cardboard. 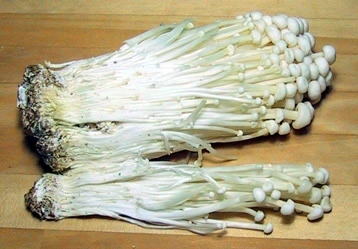 Also marketed as Buna-shimeji in Japan. Substrate: Sawdust, logs, straw. Brown Beech Mushroom (Hysizygus tessulatus). Photo courtesy Wikimedia Commons. 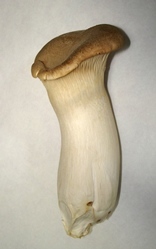 Shaped like a bowling pin, mostly stem, firm and meaty. Substrate: Hardwood sawdust, straw supplemented with cottonseed meal. 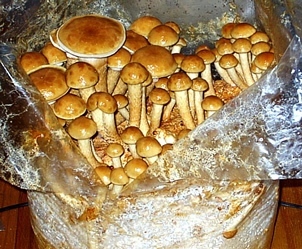 Grown in jars in Asia. Excellent flavor. 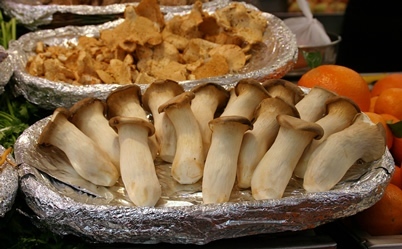 King oyster mushrooms in a Spanish market.